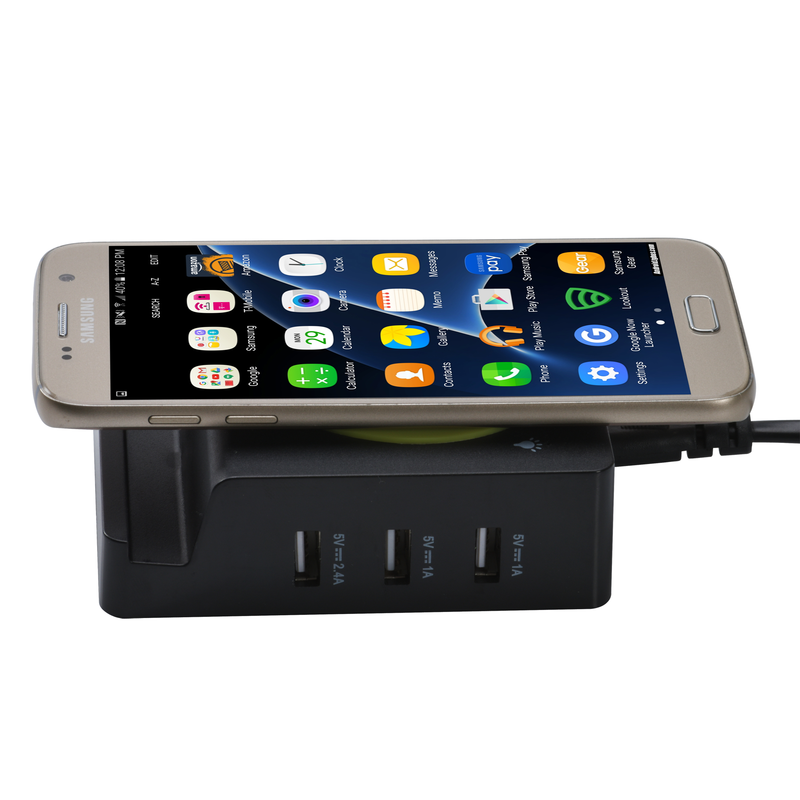 · 2in1 SLICK DESIGN: this multiple USB charger consists of a 3-port USB charger and a Qi wireless charger, which can be used simultaneously for fast charging. The creative design offers a favorable and more convenient user experience! 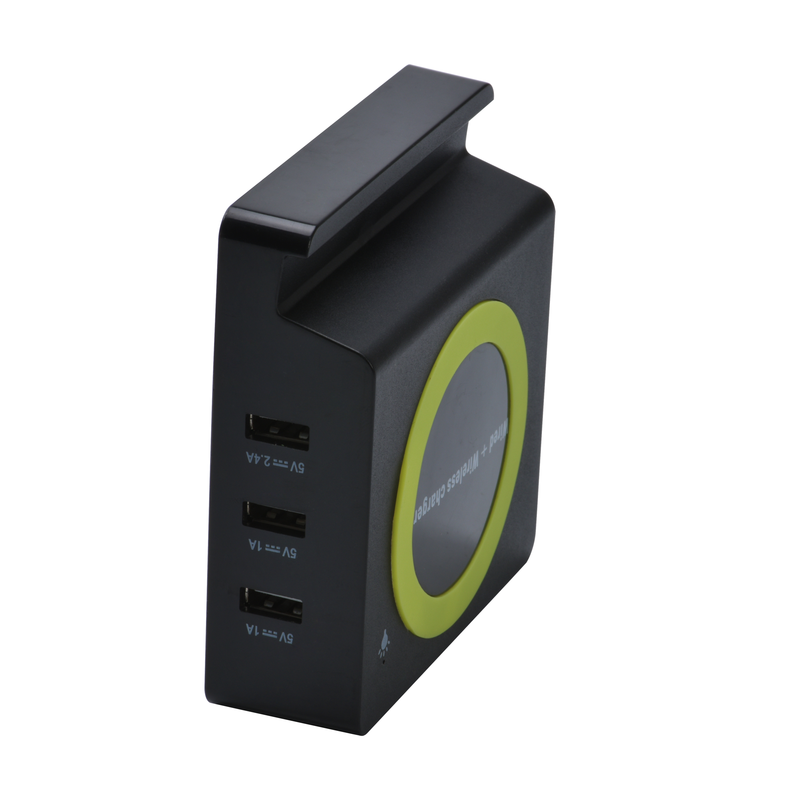 · COMPLETE SOLUTION: this wireless charging station provides more charging choices for your devices. 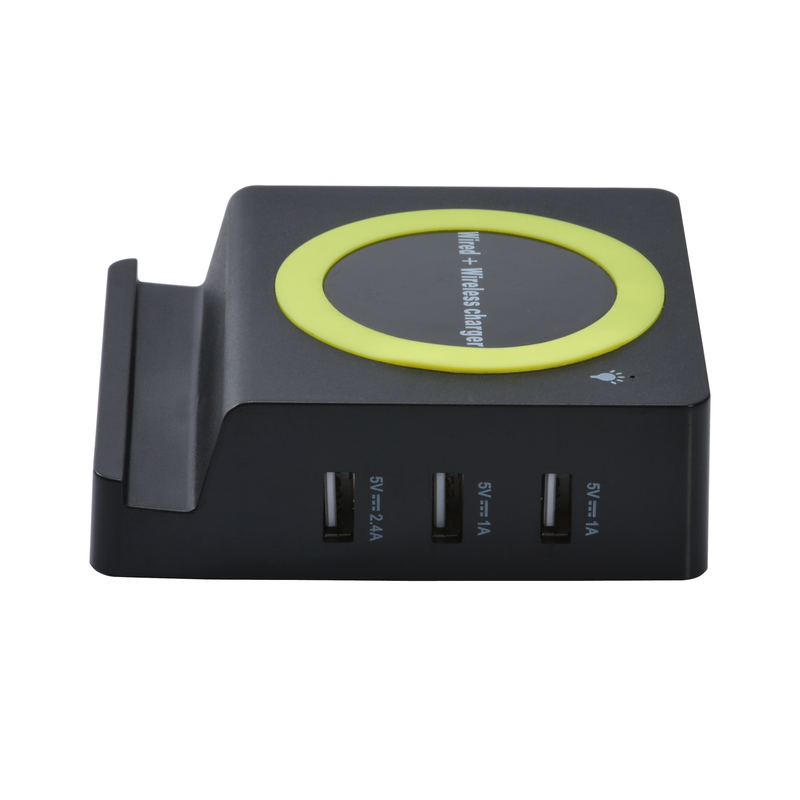 Including wireless pad, you can charge up to 4 devices at one time, expanding your PC, tablets and laptop with more opportunities for connecting external equipments. 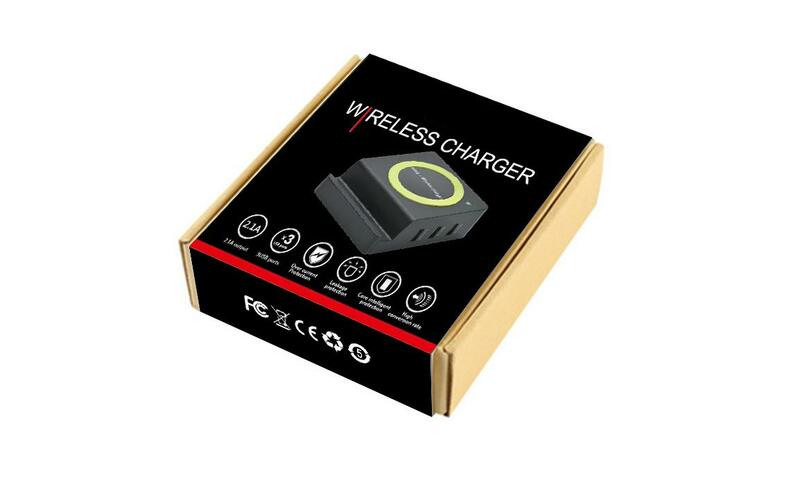 · FASTER CHARGING: This fast wireless charger uses Qi Technology which can intelligently detect and recognize your devices in the fastest charging speed up to 2.4A per port or 9 amps overall , and yet high transfer speeds gets you synced up and on your way. 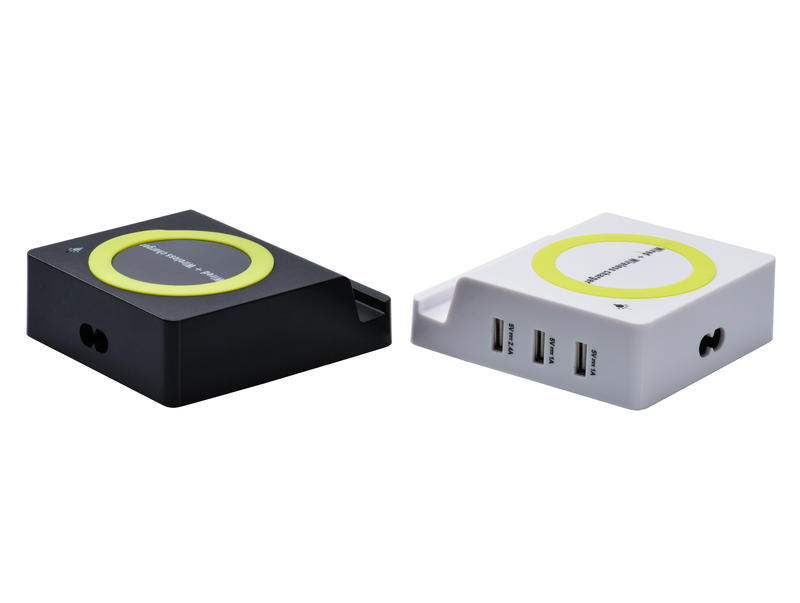 · MULTIPLE SAFETY: This USB charger is FCC, CE, RoHS certified, full safety protection to prevent over charge of your devices, protect your devices from over-current, over-voltage, short-circuit and ensures peace of mind. 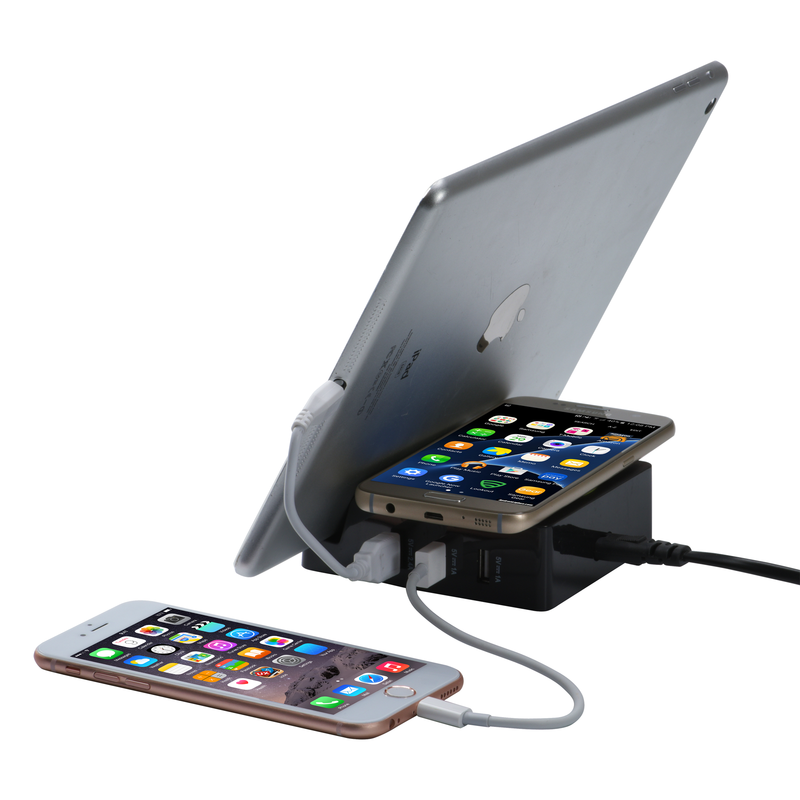 This iphone charger also comes with an anti-slip circle pad which securely holds phones or tablets.